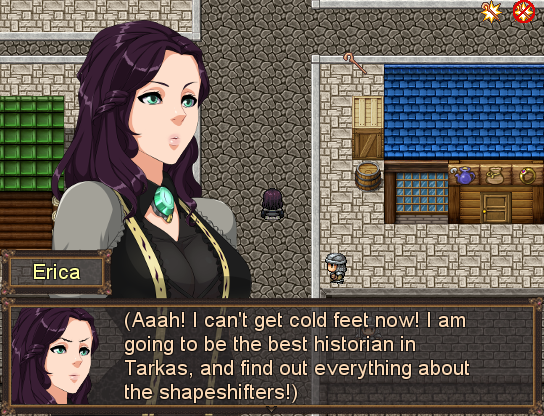 As those who read this site’s preview of Caliross may know, the game is mdqp’s eccentric transformation and mind control RPG Maker game featuring the corruption of precocious historian who is new to the big city. Said city is filled with an average of at least four different people or things trying to brainwash her into a fuckpet or a human cow behind every street corner. Players can also engage in a variety of faction-based plotlines and puzzles related to spell casting. The big ticket introduction is a great deal of new art pieces which have been added to the game, including a new character portrait for the main heroine and a main image to be used during the cowgirl scenes. Caliross 0.35 can be found on the Patreon page for for the game. For those interested in the game’s development, you can check out mdqp’s development blog here. If you love LewdGamer (or even just want to rage at us), be sure to check out our Twitter and Tumblr profiles. Want to help LewdGamer grow larger, and perhaps harder as well? Well, pop on down to our Patreon page and perhaps consider pitching in a bit to keep the lights on.